Salk scientists improved upon a classic approach to mapping the interactions between proteins. Salk scientists have developed a new high-throughput technique to determine which proteins in a cell interact with each other. 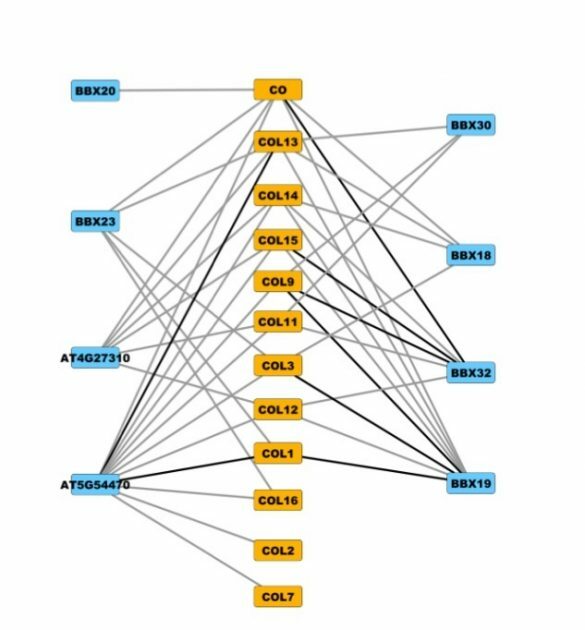 Mapping this network of interactions, or “interactome,” has been slow going in the past because the number of interactions that could be tested at once was limited. The new approach, published June 26 in Nature Methods, lets researchers test millions of relationships between thousands of proteins in a single experiment. The interactome of a cell, like a map of social networks, lets scientists see who’s working with who in the world of proteins. This helps them figure out the roles of different proteins and piece together the different players in molecular pathways and processes. If a newly discovered protein interacts with lots of other proteins involved in cellular metabolism, for instance, researchers can deduce that’s a likely role for the new protein and potentially target it for treatments related to metabolic dysfunction. Until now, researchers have typically relied on standard high-throughput yeast two-hybrid (Y2H) assays to determine the interactions between proteins. The system requires using a single known protein—known as the “bait”—to screen against a pool of “prey” proteins. But finding all the interactions between, for instance, 1,000 proteins, would require 1000 separate experiments to screen once for each bait’s interaction partners. In their new method, Ecker, Trigg and their colleagues added a twist to the standard Y2H assay for a much more effective way of measuring the interactome. The genes for two proteins, each on their own circle of DNA, are added to the same cell. If the proteins of interest interact inside the cell, a gene called Cre is activated. When turned on, Cre physically splices the two individual circles of DNA together, thus pairing the genes of interacting proteins together so the team can easily find them through sequencing. The team can generate a massive library of yeast cells—each containing different pairs of proteins by introducing random combinations of genes on circular DNA called plasmids. When cells are positive for a protein interaction, the researchers can use genetic sequencing to figure out what the two proteins interacting are, using new high-throughput DNA sequencing technologies similar to those used for human genome sequencing. This way, they’re no longer limited to testing one “bait” protein at a time, but could test the interactions between all the proteins in a library at once. Ecker’s group tested the new method, dubbed CrY2H-seq, on all the transcription factors—a large class of proteins—in the plant Arabidopsis. 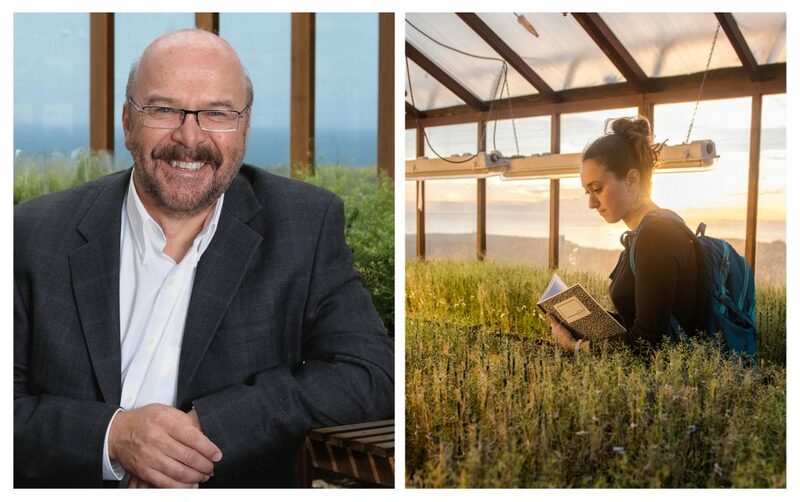 They revealed more than 8,000 interactions among those proteins tested, giving them new insight into which Arabidopsis transcription factors interact with each other. The data, they say, helps answer longstanding questions about whether certain groups of transcription factors have set functions. Some of the poorly understood transcription factors, they found, interact with more well-understood factors that regulate the plant’s response to auxin, a hormone involved in coordinating plant growth. In the future, the method could be scaled up to test larger sets of proteins—human cells, for instance, contain about 20,000 different proteins. This easier and faster method to determine the entire interactome of a cell also opens up the possibility of studying how the interactome changes under different conditions—an experiment that’s never been possible in the past. Other researchers on the study were Renee Garza, Andrew MacWilliams, Joseph Nery, Anna Bartlett, Rosa Castanon, Adeline Goubil, Joseph Feeney, Ronan O’Malley, Shao-shan Carol Huang, Zhuzhu Zhang, and Mary Galli of the Salk Institute. The work and the researchers involved were supported by grants from the U.S. Department of Energy, National Science Foundation Graduate Research Fellowship Program, Howard Hughes Medical Institute, and Mary K. Chapman Foundation.